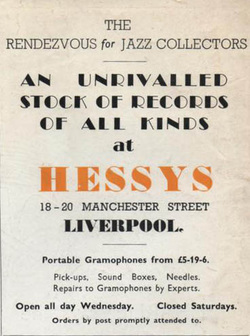 Bill Sheppard John Lennon apparenly bought his first guitar from Hessys in 57 when they'd moved a few streets away. 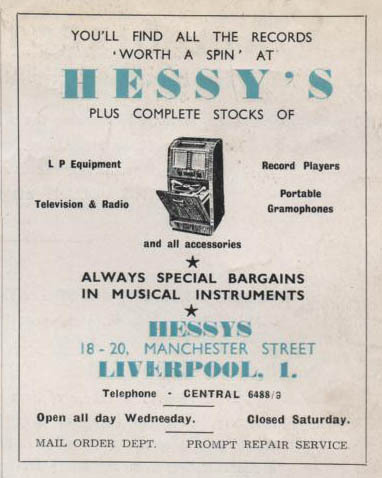 Garth Cartwright And when Epstein took over managing The B's the first thing he had to do (apparently) was settle the band's account with Hessy's - they owing over £200 on hire purchase. 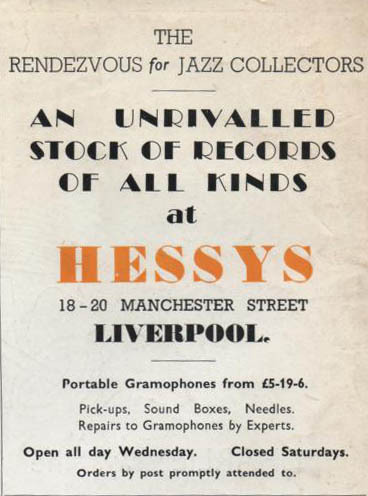 From what I can tell the Hessy's featured above and on the Record Shop website was a jazz shop that also sold TVs and gramophones but when it reopened, as you noted at a different location, a few years later it focused on selling guitars. If anyone can enlighten me more about Hessy's that would be appreciated.